Sorry I've been terrible at keeping up with my Sunday, Wednesday, Friday blogging schedule! It's only been 2 weeks and already the days are flying by. I swear for as fast as college flew by, law school is soaring by even faster. When I was walking to my last class, it dawned on me that after this semester I will be HALFWAY through law school already! That's just too soon! I'm definitely not ready to face the Bar and job market yet :/ Anyhoo, thought I'd write a little post about the transition from a 1L to a 2L. 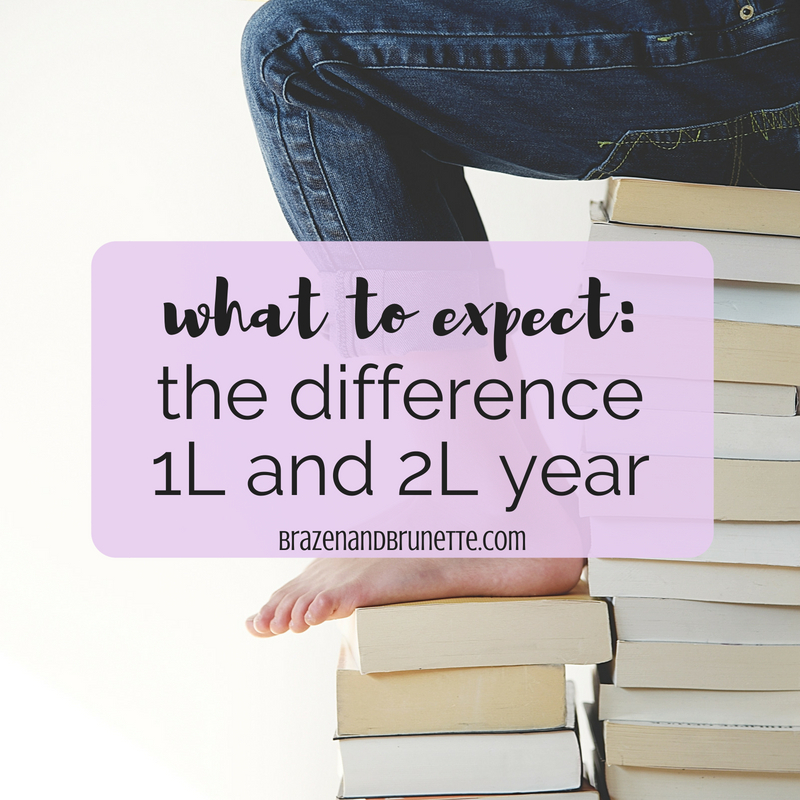 I think the best description of law school is that your first semester 1L year is like freshman year all over again, your second 1L semester is like a sophomore year, and by the time you get to a 2L you're already a junior. I say this because that first semester is really the most stressful adjustment that I've experienced so far. New school, new professors, new learning techniques, new classroom structure, new grading style. It's all just so new and can be really overwhelming at first. But when you come back from Christmas break, it's no longer new. You're still getting adjusted, but by then you're in the swing of things. As a 2L I really do feel like so much older and wiser compared to how I was as a 1L. One great thing about being an upperclassman is that by now I've got this whole law school thing pretty much down. Last week it only took me 2 hours to thoroughly read 50 pages worth of text and cases. 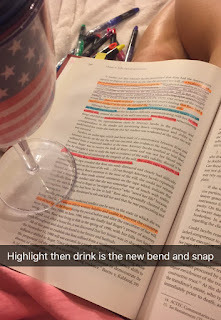 If I was still a 1L getting used to the amount of readings that law school requires, this probably would've taken me an entire afternoon. The only upside to reading this much so often is that you get quicker at it. Another plus about being an upperclassman is that the curve actually gets easier after the first year. I'm sure this is to weed out all of the people who either don't seriously want to be lawyers or just don't have the dedication to do all of the assignments. At my old school, the curve as a 1L required that the average grade be a B- and for 2L's it was a B. Here, the curve for 1L's was a C and now it's all the was up to a B. I've survived the curve for two semesters so I'm not really scared of it anymore, but that is very comforting to know. It also seems like there's more opportunities as a 2L. A lot of clinics or positions aren't even open until after your 1L year because that year is supposed to be dedicated to getting used to law school. But now as an older student I get preference for these over any 1L's, because of my experience and that they know I won't flunk out if I take on another project. Obviously the most stressful thing of being a 2L is that now it's really time to get serious about getting a legal job. Non-law-related jobs aren't really an option any more because I always need more job experience. And now I'm competing against people who clerked last summer or are even still doing it. I'm fortunate that firms usually prefer a 2L, but I still feel the pressure to get something lined up already. An unfortunate downside to transferring is that I'm kinda behind. I know a lot of people who are officers in their organizations or write for a journal, but I wasn't here last spring when these positions were available. I also missed out on all of the scholarships because their due dates were before I was even accepted. So now I have to go to all these info sessions with the 1L's to try to catch up. I think the reason why being a 2L isn't nearly as bad as a 1L is that you have so much more confidence. As a 1L I constantly felt like I wasn't good enough and that I was just faking being smart. But now I've passed a full year with pretty decent grades so I have the been-there-done-that confidence. That's not to say that I'm invincible, though, because I still spend all class hoping that I don't get called on even though I read the cases because it's so nerve-wrecking trying to answer the professor's trick questions. I know this post wasn't long, but this is all I've noticed these past two weeks. But I'm sure there will be a lot more new experiences that I'll face as a 2L. I may have missed it, but if you haven't can your write a post about your experiences, opinions, course difficulty levels and views about St. Mary's vs. Texas Tech? Yeah I'll write that soon! Thanks for the suggestion Lauren!